If you get a 404 error on one of your coupon pages, most likely you need to simply re-save your permalinks. This might occur right after you install the plugin. Follow the steps below to do so. 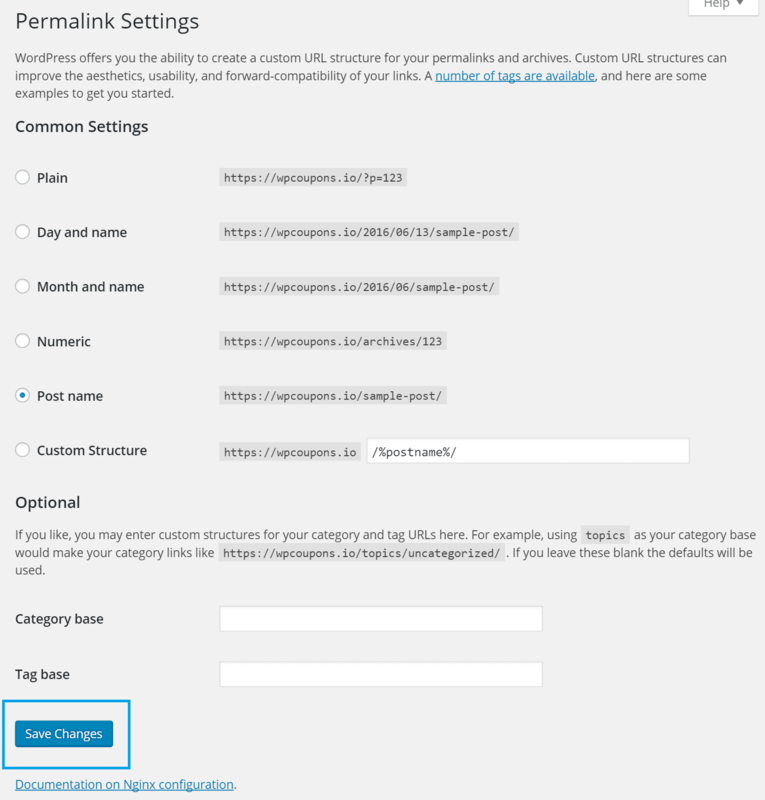 Click into “Settings” and “Permalinks” within your WordPress dashboard. That should fix any 404 errors you might encounter.